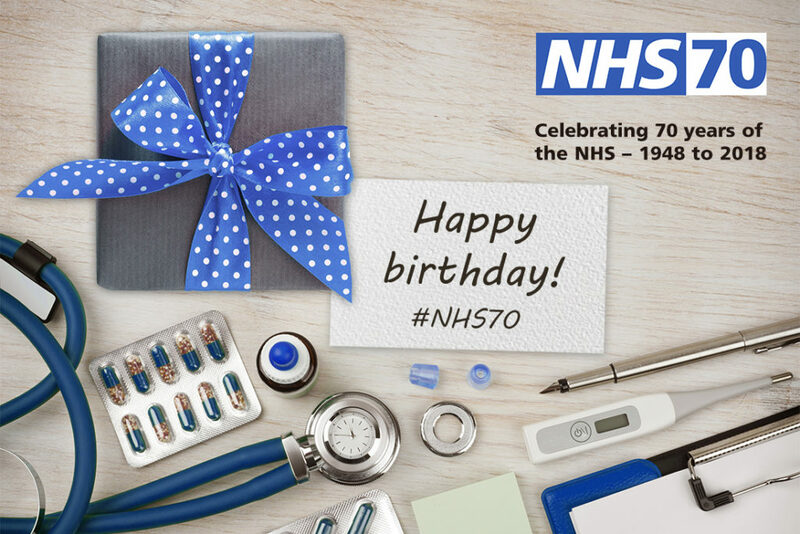 The NHS is turning 70 on 5 July 2018. We’re excited to be joining the celebrations by highlighting how everyone can pay tribute to the NHS and the contribution of its hardworking and dedicated staff during its special birthday year. The South West London Health and Care Partnership is marking the NHS’s 70th birthday by profiling just 70 stars of health and social care who are working to transform the lives of patients in south west London. Read the inspiring stories from GPs, pharmacists, CCG staff, hospital clinicians, community nurses and volunteers on the partnership website and share them on twitter using the hashtag #70stars. Join us in raising a cuppa to the NHS by hosting a Big 7Tea Party at your home, school, workplace, garden or street. You can hold your party on or around the NHS’s birthday on 5 July and raise money for your local NHS charity. With just a few clicks you can save lives by registering to give blood and join the organ donor register. Every day thousands of people’s lives are saved or improved thanks to the generosity of our donors. But, sadly, there are still lots of patients the NHS can’t treat because it doesn’t have enough supplies. There are things that we can all do for ourselves and for one another to help the NHS work effectively, and to make sure resources are used responsibly. Find out more and make your pledge here. If you look after yourself, you’re looking after the NHS. Help make the NHS sustainable for future generations by looking at what small changes you can make to improve your health and wellbeing. Find out more here. Volunteers from all walks of life have made a huge contribution to the NHS. As well as helping the NHS to enhance the experience patients receive, you can gain new skills and make new friends. Did you work for the NHS? Did you come overseas to work for the NHS? Or have you been treated by the NHS and want to share your story? NHS at 70 is collecting stories and memorabilia to form a digital archive for future generations. The People’s History of the NHS is a website where you can share your recollections of the NHS, find out about public events, visit the project’s ‘virtual museum’ and ‘People’s Encyclopaedia of the NHS’. If you’d like to find out more about how you can get involved with the NHS70 celebrations, please visit the NHS 70 website.